Buenas tardes amigos/amigas! 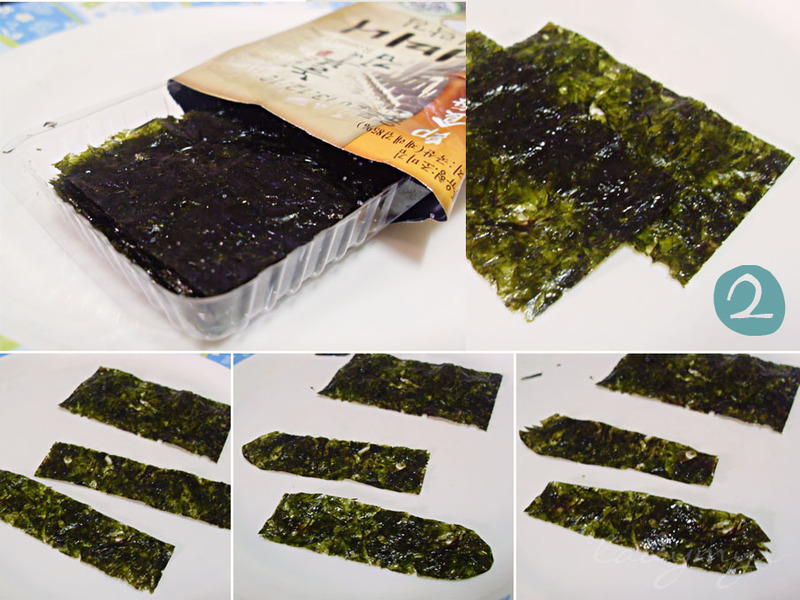 Mentioned on my previous post that I just bought packs of nori sheets (dried seaweeds used for sushi, maki and other rolls) for only Php10. 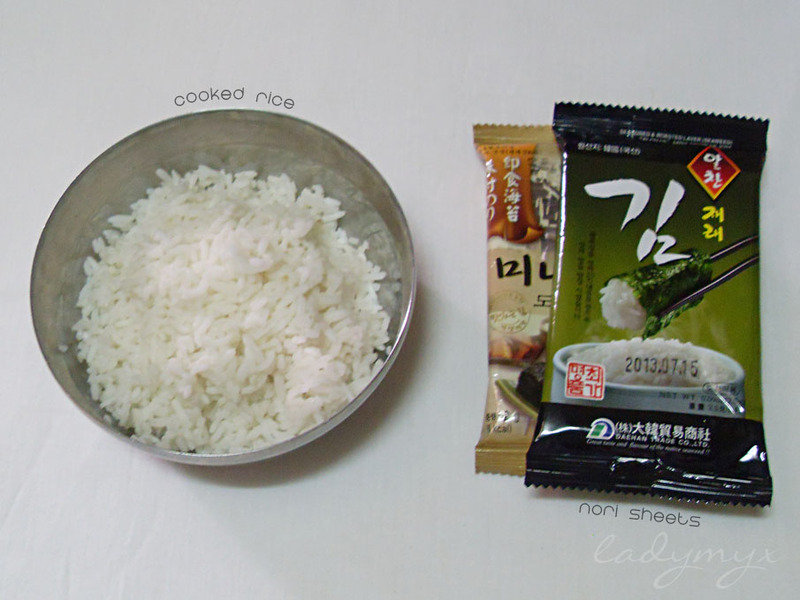 And I guess it's way better to eat this flavorful stuff in a cute way rather than just a topping for ramen. So tonight, Imma show you how to make cute (let's assume it's cute!) 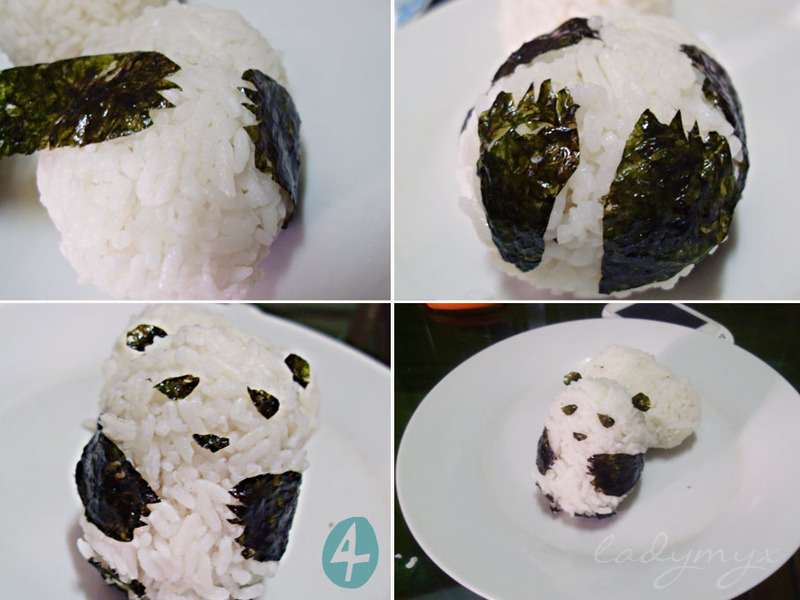 panda onigiri. 1. 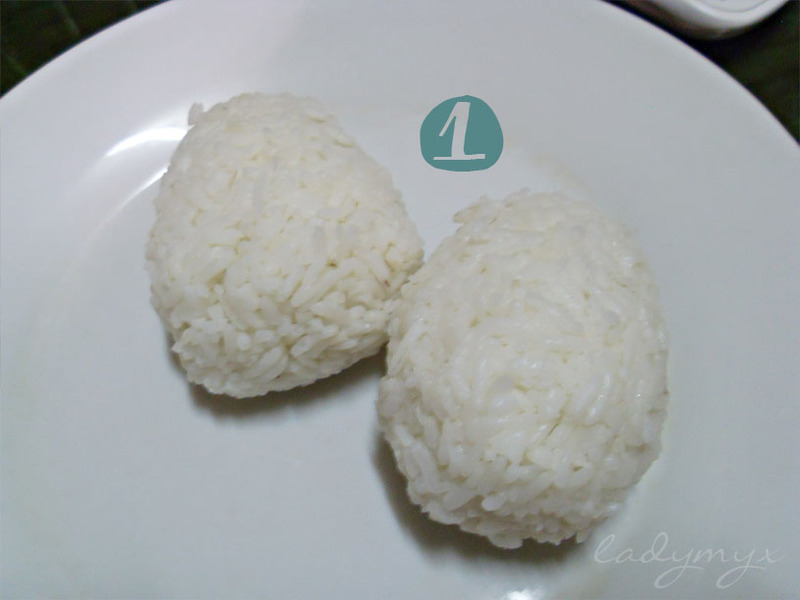 Form rice into a ball with your wet hands. It should look like an egg like the ones on the photo. Set aside. 2. Let's make panda hands first. 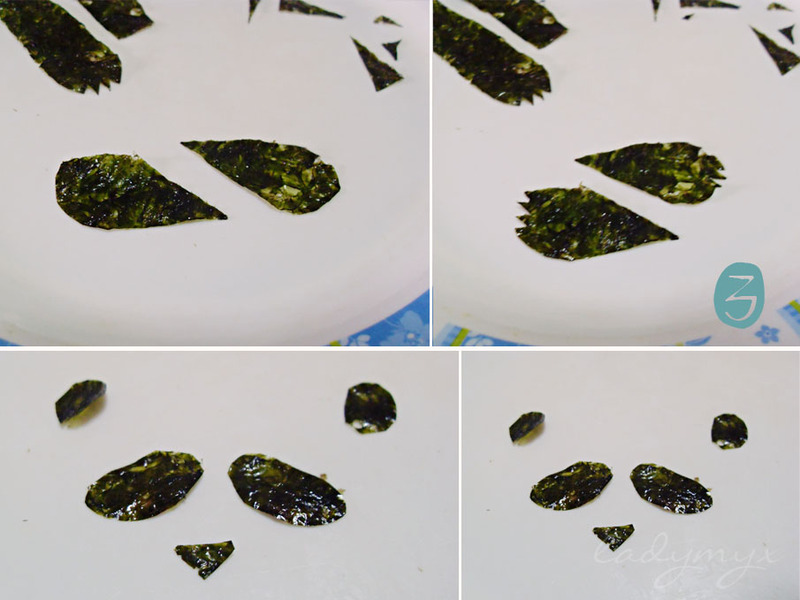 Cut your nori sheets into pieces, about 2 inches long and a centimeter wide. Make a curve on one end and cut into criss cross patterns. 3. 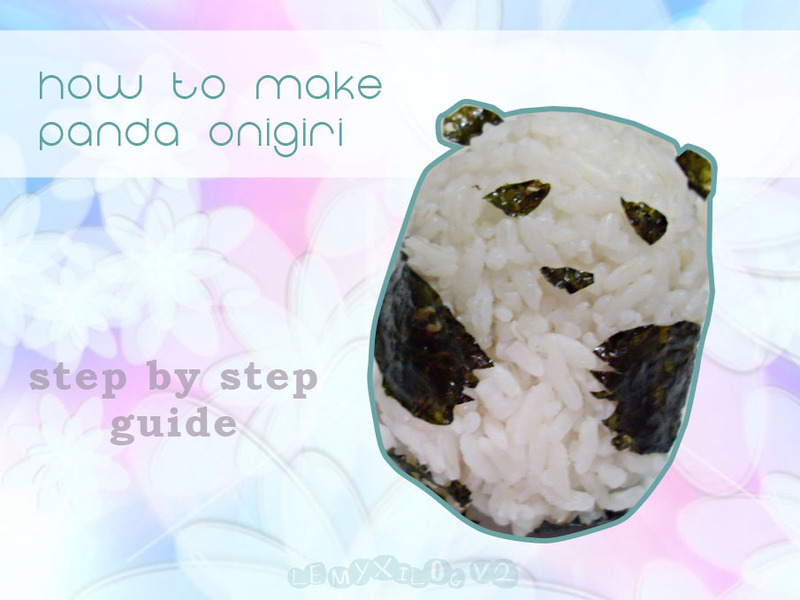 Make the panda feet just the same as you did with the hands, but just half the size of it. Cut two circles for the ears, two ovals for the eyes and a triangle for the nose. 4. Stick the sheets straight to the ball of rice. And you're done! 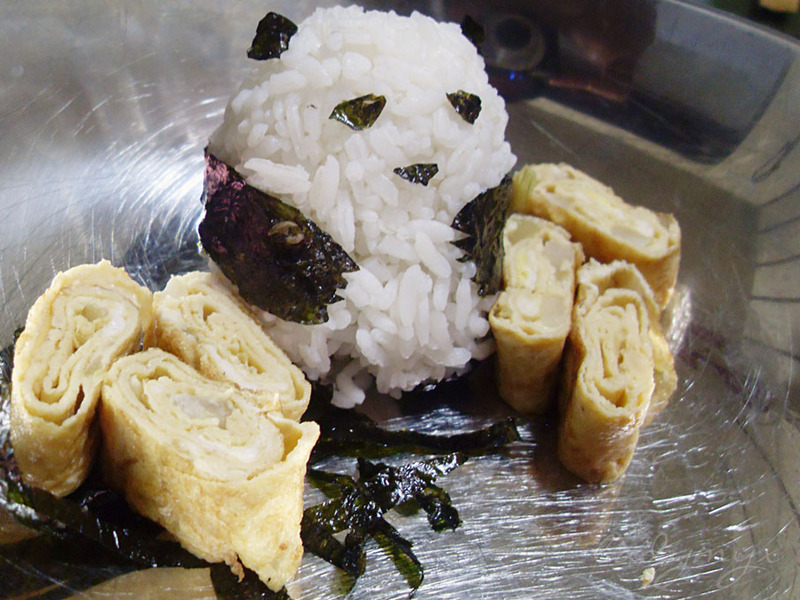 Serve with some egg rolls and a bed of nori sheets. wow that's is so cute!